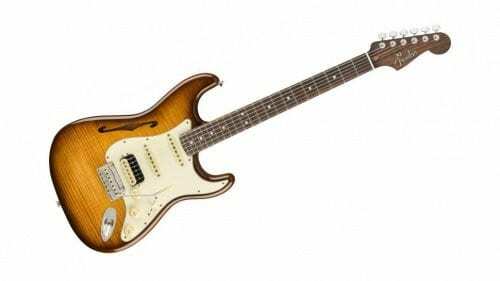 At NAMM 2019, Fender took the wraps off of a new, premium-tier range of guitars — called the Fender Rarities series. 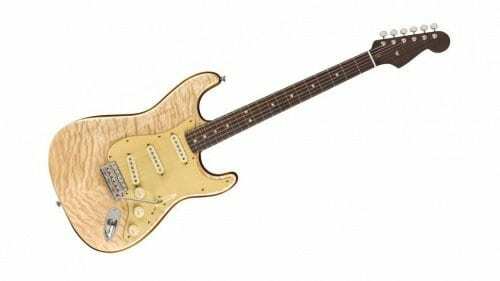 The new guitars were aimed at showcasing the best and most beautiful of what Fender has to offer, with one guitar release each month. Now, the company has finally begun launching those guitars. 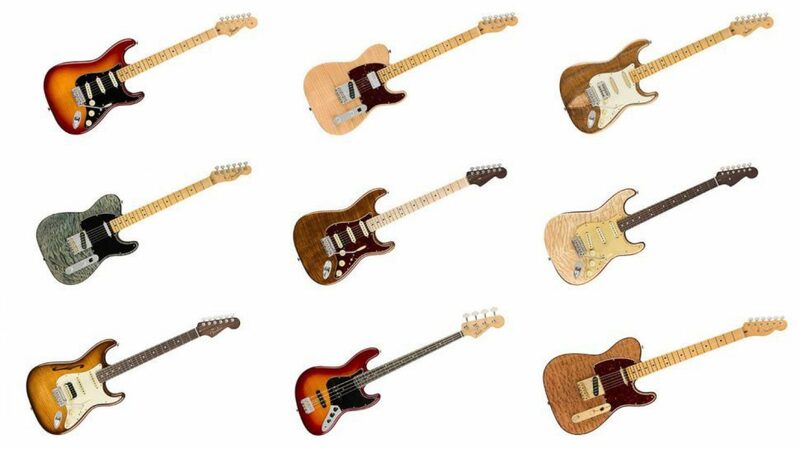 Here’s everything you need to know about the limited-run Fender Rarities Series guitars. The first Fender Rarities Series guitar is finally here. 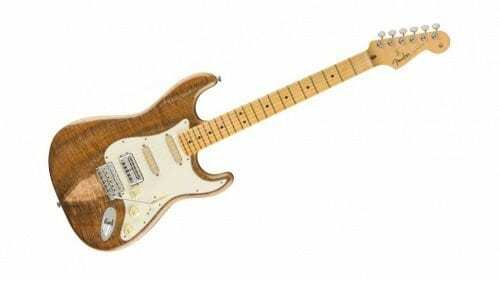 The first guitar in the series, which was released for April, is the Fender Flame Maple Top Stratocaster, and it features a two-piece alder body with a flame maple Golden Brown top. Along with that, you’ll get a solid rosewood neck and a flame maple fingerboard. Under the hood, the guitar boasts a HSS pickup configuration with Pure Vintage ’65 Strat pickups and a DoubleTap bridge pickup. Completing the setup is the S-1 switch. The guitar is now available for $2,499.99, and you can get it for yourself using the link below. 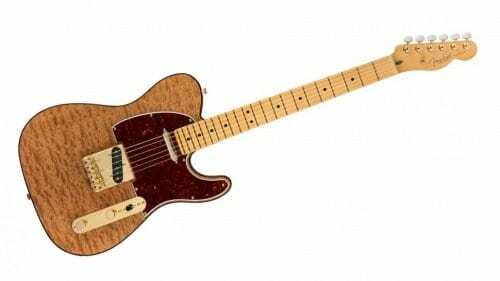 The Fender Red Mahogany Top Telecaster has a seemingly typical Tele build, but with a nice wood-grain type finish to the body and what looks like a golden pickup, bridge and tone knob section. Next up is the Fender Koa Flame Top Stratocaster, with what appears to be a worn down wooden looking finish, complete with a white pickguard. The Quilt Maple Top Telecaster with a beautiful ocean-like blue finish and a black pickguard which we believe compliments this guitar quite well. The Quilt Maple Top Stratocaster with a beautiful color scheme between the neck and body with a cream colored pickguard. 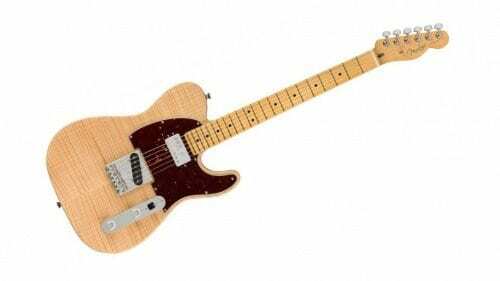 Next up is the Fender Rarities Flame Top Chambered Telecaster. This finish appears to have the most basic look of all of them so far, with a silver humbucker & single coil pickup pairing. The next guitar we can expect from the Fender Rarities line is a Flame Ash Top Stratocaster with an elegant burnt orange-red color with a black pickguard. The first and only bass guitar of the Rarities Series is expected to drop in November. 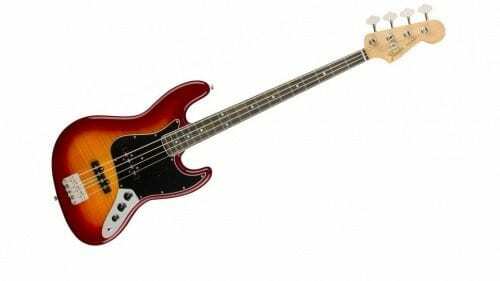 The Flame Ash Top Jazz Bass seems to follow the same exact color scheme as October’s release, besides the neck. Bassists will definitely want to set their reminders for this November. The final guitar is the the most unique guitar of the bunch. 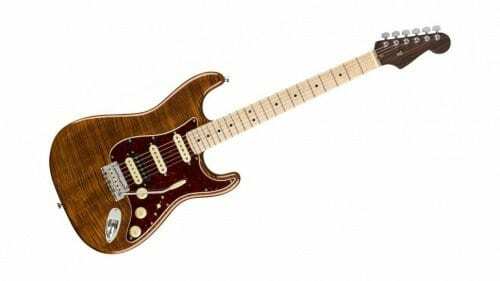 The HSS Flame Top Stratocaster HSS Thinline will be the last of this year’s Rarities releases, and seems to have a semi-hollow body with a violin style f-hole above the pickguard.